We at The Next Wave consider ourselves students of the craft of advertising. We continuously seek out and study the best thinking in the business and then, share it. 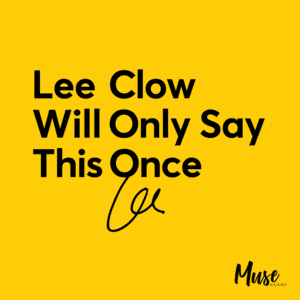 Two of the greats in advertising recently were interviewed in podcasts; Alex Bogusky and Lee Clow. Lee gets his own show- which is a bunch of shorts. Alex gets a longer interview than most in the series of one hour interviews that you may find informative and enjoyable. We’ve included links to Apple iTunes for these free podcasts, but they are widely available on other platforms. The first podcast is called Talking to Ourselves which is produced by Omid Farhang who is now Chief Creative Officer at Momentum. 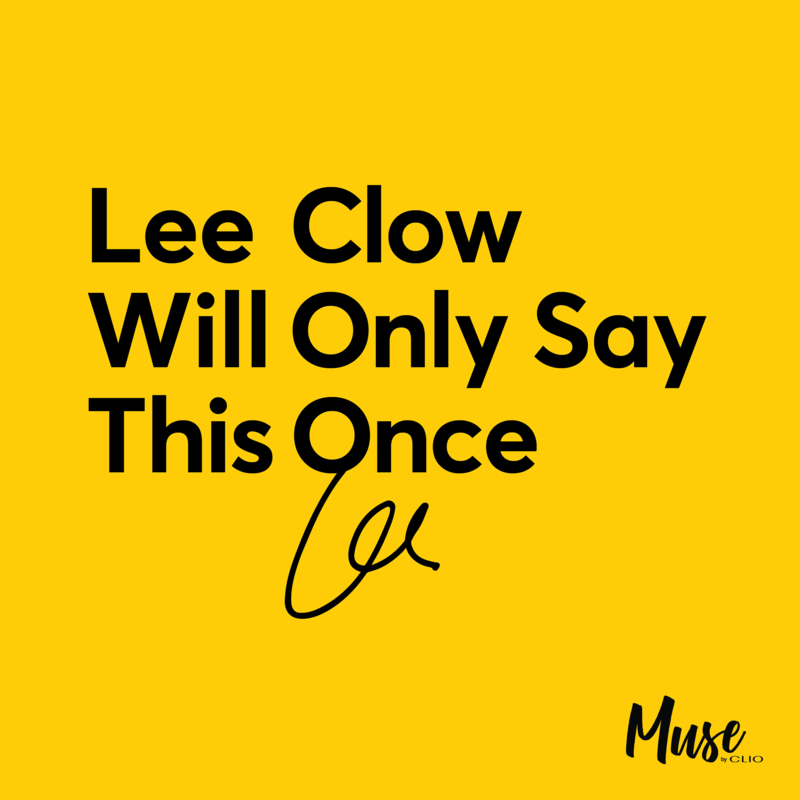 It’s a bi-monthly podcast that he calls his “selfish excuse to get the marketing industry’s most admired leaders to share advice, reveal process and routines, maybe tell a few stories, hopefully uplift a few cynics, and divulge secrets to a fulfilling career.” It’s produced in partnership with The One Club, and JSM Music. Really, you could call this Omid goes to career coaching class, but he is a pretty good interviewer, especially after he gets a few of these interviews under his belt. While there are a bunch of episodes, the one that got us started was the 75 minute interview of Alex Bogusky. The best gem was that he tried leaving his own firm a few times when he grew exasperated with Chuck Porter. Things were lining up for him with Wieden + Kennedy to run the Amsterdam office until supposedly Dan Wieden saw his book and put the kibosh on it. Bogusky also is a recurring theme through many of the interviews- because Omid keeps sharing the story of when Bogusky asks him if he had seen the Dudley Moore movie “Crazy People” where Moore is an ad exec in a psych ward who gets the patients to work up ad campaigns that are brutally honest. His takeaway- working in advertising should be a lot like that movie. He’s just wrapped up season 1- and the list of advertising superstars is impressive including David Lubars, Gerry Graf, David Droga, Rob Reilly, Andrew Keller- note, the list is heavy on Crispin Porter + Bogusky alumni. What was the most horrific response you’ve ever had from a client at a presentation? The answers are varied and insightful. Almost every guest has worked at one of these five hot shops:Fallon, Wieden + Kennedy, Chiat\Day, Crispin Porter + Bogusky, Goodby Silverstein at one point in their career. Andrew Keller talks about his being in a band as the thing that most prepared him for being in advertising. Working together in a small group and putting things together so that they are interesting. David Lubars tells the story of how his father worked in advertising and he caught the advertising bug when his father solved the business problem Listerine was facing once Scope came out, with the line “The taste you hate twice a day” which he called a smart way to say that what made the stuff taste bad is what made it work well. That’s what great advertising does. John Mescall, global ECD at McCann Worldgroup tells the story of the birth of one of the most awarded campaigns ever: Dumb Ways to Die. Considering it was a PSA client that nobody every heard of, the way they arrived at the strategy, the execution, is an amazing story. Mescall also shows his respect for the work of CP+B talking about how it changed the game, and it wasn’t necessarily with perfect craft- but driven by a great idea. The discussion with Gerry Graf of Barton F. Graf, turns to awards shows and CMO’s and if any of the work that wins actually sells stuff. Makes Graf a hero in our book. Jaime Robinson, co-founder of Joan, may win an award for the foulest mouth, yet, since her agency is the newest, you get a sense of wonderment at some of the questions about time allocation and following your gut, even as far as to go with something that comes up right during a client meeting. They are so new, they don’t even have a site up as of this writing. Rob Reilly talks about how a term “delusional positivity” as a phrase from his Crispin Porter + Bogusky days has made it over to McCann. He believes that they can do anything- which is how incredible work gets done. The Chief Creative Officer of Anomaly, Mike Byrne is almost too self-deprecating. He seems to put a lot more effort into relationships- within the agency, than outside of it. His discussion of his daily journaling and having lunch with someone somewhere other than the office as highpoints of his day are poignant, as are his gritty truth-telling about the fact that his daughter is shooting video and editing it right on her iPhone- and timelines have compressed. He says he’s not as talented as others- but willing to work twice as hard. Anomaly is a different kind of super agency- probably because his DNA is a bit different than other folks. Susan Hoffman at W+K started out horribly, making a really bad joke about her parents profession and sounding very uncomfortable, but quickly redeemed herself with stories about how the Beatles/Revolution spot got made and the bullets they sweated when the agency was sued for it. The key insight she shared was that hiring people with “a voice” got them honesty, reality and truth. Which is critical to advertising. The Nike campaign for women (If you let me play(- was Charlotte Moore, Janet Champ and Stacy Wall- talking, not just ad people trying to sell you something. It’s not just the mantra “Fail Harder” that makes W+K great- it’s that the people have passion for their craft. One of the most interesting interviews for young creatives looking for career advice comes from Justin Gignac, the co-founder of Working Not Working. In a gig economy, building a body of work requires some investment in real, long-term relationships, and the long term growth potential in a real job vs a gig job is exponential. We’re always looking for resources to expand our knowledge of advertising. It’s part of the reason we’ve always had our Booklist on this site. If you have some recommendations for podcasts, video channels or other resources, we’re all ears. Leave your suggestions in comments. (a few months later) Another podcast we’ve since started listening to is “The A-List” (link to iTunes) which comes from our friends at DiMassimo Goldstein. It’s their Executive Creative Officer, Tom Christmann. It’s much more raw, unedited and sometimes the sound quality is so bad it’s painful. If I had a dollar for every stutter, uh, ah, or time he said “the kids” I’d be buying the Washington Post and divorcing my wife. It’s supposed to target young creatives, to introduce them to the old guard, and sponsored by Ad House NYC. Yet, making jokes about how kids won’t understand what paste up is, or pre-internet advertising isn’t really helpful or interesting. Neither is Tom’s habit of talking over his subject, interrupting frequently and name dropping- Dan in Portland, Rich in San Francisco, Lee in LA, uh, yeah, I know who these people are- but don’t assume your target market of young listeners do. That said, he also feels it’s very important to talk about where he worked with the person in the past and sometimes wanders off into what could be considered office gossip. A good editor could cut these in half- and still have a lot of good content- except because of his “interview style” of talking over people- it’d be edit hell. He has some of the some people “Talking to Ourselves” has- and between the two, I’d always prefer Omid’s interviews so far, but because he’s so unstructured sometimes he gets lucky and gets a few extra tidbits. He’s also more likely to interview people Omid wouldn’t- so you get to hear from some journeymen instead of just the stars. Calling it “The A-List” may not be truth in adverting, but, if you are looking to expand your horizons or learn more about how folks rose to prominence- this works. Hopefully, Tom will read this, write a brief for his podcast so he stays on point, and works on both audio quality and his interview style and this podcast improves to actually warrant its lofty title.